Spice Coolpad 2 Mi 496 now gets its place in many online retailers . After becoming partner with Coolpad , Spice had launched several Quad core devices at attractive prices . Spice Mi 496 is powered by 1.2GHZ Quad core processor integrated with 1GB of RAM . But now we have Gionee Elife E5, Xolo Play T1000 , Xolo Q1000s and iBerry Auxus Nuclear N1 with 1.5GHZ of processor and 1GB ram . Not just that , Gionee Elife E6 comes with 2GB of ram & with bunch of impressive Specifications & bunch of features . The Coolpad 2 Mi 496 has 4.5inch qHD resolution Display . It is running on Android 4.1 jelly bean OS . At the back it is integrated with 5MP rear auto focus camera with LED FLASH . It would be powered by Snapdragon 200 CPU instead og MT6589 . It has access to Dual SIM card Slots ( 3G + 2G ) with Dual standby . Features like 3G , Wifi , FM radio,Bluetooth , GPS / aGPS , 3.5mm audio jack & micro USB connectivity are always there . The device has 4GB ROM ( internal memory ) and further memory can be expandable up to 32GB via micro SD card . It has 1700mAH battery to power the device . The specs are similar to Spice Mi 515 and Mi 510 . 1GB Ram 4GB Rom . 3G , Wifi , FM radio,Bluetooth , GPS / aGPS . 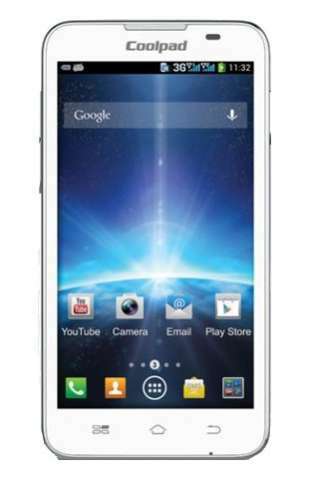 5MP rear auto focus camera with LED flash . Sensors – Ambient light sensor , G- sensor and proximity sensor . Overall the Spice Mi 496 is a good device value for money & better than Karbonn A27+ . Spice Coolpad 2 Mi 496 is available at price of RS 9499 .